LVC welcomes 14 new faculty and teaching fellows for the 2016 – 2017 academic year. What follows is an introduction to each in his/her own voice. Rachel Albert, Assistant Professor of Psychology: I received my PhD in Perception, Cognition, and Developmental Psychology from Cornell University in 2013. 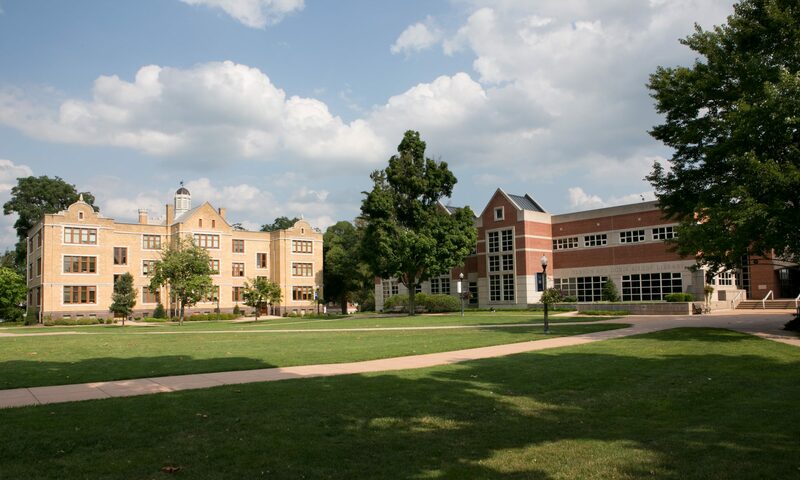 I am thrilled to join the faculty here at LVC after 3 years of teaching psychology in Wisconsin. My teaching interests include child and adolescent development, the psychology of language, general psychology, and research methods. My research focuses on communication between infants and their caregivers. Specifically, I examine how infants transition from babbling to producing their first words. Outside of the classroom, I enjoy swimming, skiing, playing Ultimate Frisbee, and keeping up with my two young sons. Terrence Alladin, Teaching Fellow, Criminal Justice: I earned my B.S. at St. Francis College, my M.A. from Brooklyn College, City University of New York, and my Ph.D. from the Pennsylvania State University. I teach courses in Criminal Justice and Public Policy, including Introduction to Criminal Justice, Research Methods, Statistics, Social Problems, Policy Analysis and Legal Procedures. My research, focused on issues of incarceration and criminal justice system policy, has appeared in peer-reviewed outlets such as Professional Issues in Criminal Justice and Prison Journal. Daniel Clark, Visiting Assistant Professor of Biology: I am excited to join the biology faculty at LVC. I taught previously at LVC as an adjunct professor, at Penn State, and at Brigham Young University in Utah. For the last three years, I have studied hepatitis B virus as a post-doctoral fellow at the Penn State Hershey Medical center. Prior to that, I studied the genetic basis of lupus at BYU, where I earned my Ph.D. I enjoy reading, cooking, religion, and encountering new people and ideas. I am a Capricorn and my favorite color is blue. I reside in Hummelstown with my wife and three young boys. Jaime Fetterow-Alderfer, Teaching Fellow of English: I am joining the English department at Lebanon Valley College after teaching at Penn State Brandywine for the past 4 years. I’m a native Floridian and a graduate of Pennsylvania State University with a degree in Journalism. I spent close to 10 years as television journalism, including 4 and a half in Harrisburg as the weekend sports anchor/reporter at the CBS affiliate. I moved to the Philadelphia suburbs after my husband was relocated. I have a 5-year-old daughter, Alexis, who will start kindergarten this year and who has already declared she wants to be a teacher. I dabbled in PR and freelance writing before landing in academia. I hold an M.S. in Mass Media Arts and Journalism from Clarion University. I have taught newswriting classes and a variety of mass media classes. I look forward to advising students who write for the La Vie Collegienne. Eva Goedhart, Visiting Assistant professor of Mathematical Sciences: I am originally from the Netherlands but spent the majority of my life living in Virginia and Pennsylvania. I am joining LVC after teaching a year at Smith College in Northampton, Massachusetts. I earned my Ph.D. from Bryn Mawr College. My research focuses mainly on algebraic number theory, but I am always exploring new fun ways to play with Diophantine equations. Outside of mathematics, I love to spend time camping and hiking with my family, crocheting, and cooking amazing locally-grown food. Valbona Hoxha, Visiting Professor of Biology: I am a native of Albania. I teach developmental biology, cell and tissue biology, and general biology lab. I am interested in the molecular mechanisms and signaling pathways that regulate the mating behavior of the fruit fly, Drosophila melanogaster. Michael Hadary, Artist-Teacher of Studio Voice and Musical Theatre: I am thrilled to be joining the music faculty at LVC. Currently, I am working on my MFA in musical theatre vocal pedagogy at Penn State under the tutelage of Mary Saunders-Barton and Dr. Norman Spivey. I have completed degrees from NYU (MM) and James Madison University (BM), both in vocal performance. Previously, I had the privilege of teaching full time on the faculty of Valdosta State University in Georgia. I have a wife, Lyndsey and we have a little dog named Knuckles. I grew up in Arlington, Virginia and look forward to meeting the rest of the LVC faculty and staff. Go Flying Dutchmen! Patrick Jasinski, Visiting Professor of Physics: Hello, I am the visiting assistant professor of physics for the coming academic year. I have a master’s degree in physics from the University of Delaware, and a PhD in biomedical engineering from Drexel University, where my work was in computational neuroscience. Before my current appointment, I was an adjunct professor in the Mathematical Sciences department, and before, that I was a full-time stay at home father for my son Darius, who is now in kindergarten. Cona Marshall, Assistant Professor of Africana Studies: I hold a Master’s of Theological Studies and a certificate in Black Church Studies from Vanderbilt University. This theological background complements my doctoral studies at Michigan State University in Black Studies and Cultural Rhetorics, informing my research project “Is God Sexist? : Black Women’s Preaching Rhetoric.” I have taught first-year writing for nine semesters and served on the First-Year Writing Committee. I was on the committee for MSU’s first conference on the responsibility of teachers in the wake of racial violence and was also named this year’s Scholars for the Dream Awardee by the Conference on College Composition and Communication. Andrew Milosz, Clinical Assistant Professor of Physical Therapy: I earned an M. Biomech. Engineering degree from the Technical University of Warsaw, Poland; an M.Ph.Ed. from the Physical and Health Education College, Warsaw, Poland; a B.S.PT from McMaster University, Hamilton, Canada; and a DPT from Arcadia University, Glenside, USA. I am certified in Mechanical Diagnosis and Therapy (McKenzie Institute International) and Massage Therapy (Canadian Massage Therapists Alliance). I teach the fundamentals of human anatomy, physiology, and human movement and also assist with differential diagnosis and clinical interventions labs. My research interests include headache prevalence and post lumbar fusion rehabilitation interventions. Clinical practice areas include manual therapy, pain management rehabilitation, and in-patient physical therapy. Veronica Rodriquez, Teaching Fellow of Spanish: I earned my B.A. in Enseñanza de Lenguas Modernas (Benemérita Universidad Autónoma de Puebla), M.A. in Foreign Languages and Literatures (University of Delaware), M.A. in Spanish Literature (University of Maryland-College Park), and Ph.D. in Spanish (University of Wisconsin-Madison). My doctoral dissertation explores cultural artifacts prepared by a group of privilege indigenous intellectuals in their native language: Nahuatl. Following this line of research, I participated in the recently published anthology Narradores indígenas y mestizos de la época colonial (siglos XVI-XVII), zonas andina y mesoamericana, co-authoring the article “Domingo Francisco de San Antón Muñón Chimalpáhin Cuatlehuanitzin (1579-1660).” In the classroom, I am a dynamic educator who encourages my students to embrace the process and opportunities that come with learning a new language and expanding their cultural understanding. Theresa Rosenberg (“Terri”), Visiting Assistant Professor of English: I pursued my love of languages as an undergraduate, culminating in a Bachelor’s degree in Russian Literature at University of California, Irvine (’94). Peace Corps seemed like the obvious next step in my life plan, and I spent two years in Poland (1995-1997) teaching English in a local high school and travelling Eastern Europe. At that point, I knew I needed more education, and I chose to mesh my love of languages and teaching by completing a Master’s degree in Applied Linguistics at Ohio University (‘99). Through the years, I have taught English, ESL, and Linguistics at Ohio University, Michigan State University, Northern State University, and Brevard College. I also spent two years teaching home buyer education for Northern Arapaho Tribal Housing in Ethete, WY. Life finally settled me and my family of five in Central PA. My husband is a Regional Conservationist for USDA/NRCS in Lebanon, and I have three very active girls (ages 7, 9 and 11). This year, I will be teaching first year writing courses at LVC including English 111, English 112, and FYE 111. Elizabeth Sterner, Assistant Professor of Chemistry: I received my Bachelor’s of Science in chemistry from Creighton University and my Master’s and PhD in polymer science and engineering from the University of Massachusetts – Amherst, followed by time as a postdoctoral associate at the Massachusetts Institute of Technology. My research specializes in designing and synthesizing new high-performance polymers and understanding how molecular structures give rise to macroscale properties. I also have extensive experience in community outreach. Erin Ulrich, Clinical Assistant Professor & Education Coordinator, Athletic Training: I began my career in athletic training at Eastern University where I earned a Bachelor of Science in Health and Exercise Science followed by a Master of Science in Athletic Training from California University of Pennsylvania. Since becoming an athletic trainer, I have accumulated over 16 years of clinical athletic training experience in various settings including division 2 and 3 colleges, junior college, high school, outpatient clinics and camps. I provided coverage for the 2000 Men’s Olympic Gymnastics team during their summer training prior to their departure for Sydney. I have taught in the fields of both athletic training and exercise science at Montgomery County Community College, Waynesburg University and most recently as adjunct faculty in the Physical Therapy program at Lebanon Valley College. My past and current research includes aquatic therapy, functional movement dysfunction in relationship to injury prevention and the “hot topic” area of concussions. As Head Athletic Trainer, I collaborated with various departments, committees and students on campus to develop relevant research studies and create new policies and procedures based on current best practice recommendations in order to optimize the student experience at Lebanon Valley College. I look forward to continuing to work collaboratively with colleagues and students in my role of Clinical Education Coordinator of the Athletic Training program. Welcome to the start of the 2016 – 2017 academic year! In addition to this blog, “Faculty Voices,” we have a blog dedicated to faculty scholarship and another for news about faculty engaged in the community. These blogs will be updated weekly and serve as a vehicle for informing colleagues about what faculty are doing in their disciplines and communities. Submissions to “Faculty Voices,” “Faculty Scholarship,” and “Faculty Engaged in the Community” should be made to Ann Damiano, Senior Associate Dean of Academic Affairs. Submissions are due every Wednesday for the following week.